Stanlaws has not been found in the 1910 census. “Masterpieces of American Illustrators” was a series of ten profiles that ran in numerous papers including the Pittsburgh Press, (Pennsylvania). On September 22, 1912, the Press published the third in the series, Marguerite by Penrhyn Stanlaws. Penrhyn Stanlaws’s play “Instinct,” adapted from the French of Henry Kistemaeckers, was produced by Charles Frohman at the Duke of York Theatre to-night. It is likely to achieve a success through its big appeal to the emotions and the admirable acting of Aubrey Smith and Lilian Braithwaite in the principle roles, both of whom played with fine force and power. The play itself is regarded as a well-constructed melodrama, and the audience was entirely favorable. …Mr. Stanlaws has devoted himself to portrait painting and magazine covers. He works seven days in the week, from 10 to 5, and frequently in the evening he does some writing. He has several times tried his hand at playwriting, and one of his plays, “Instinct,” an adaptation from the French, is now running in London. His studio is at 23 West Sixty-seventh Street. On April 30, 1913, Stanlaws married Jean Pughsley in New York City. The Times published an account the next day. 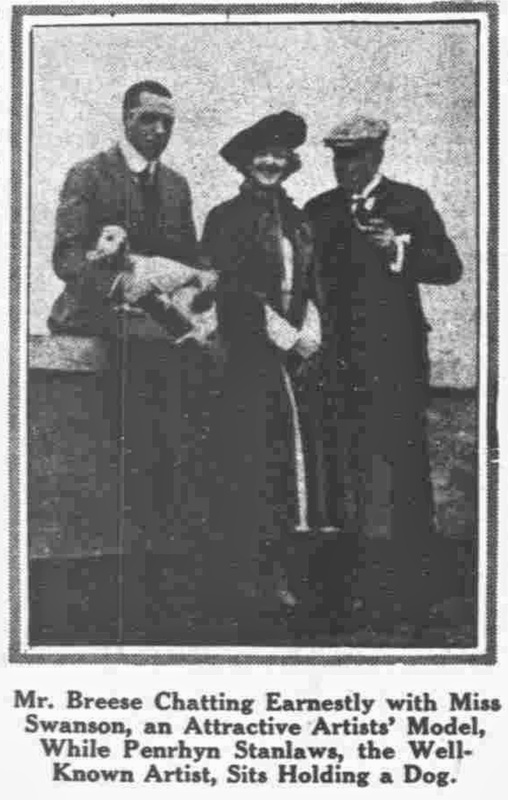 Miss Jean Pughsley of New York and Paris, a sister of Lester P. Bryant of this city, was married yesterday at the Hotel Gotham to Penrhyn Stanley Adamson, the artist, who is better known as Penrhyn Stanlaws. The bride was unattended, and only a few friends and relatives witnessed the ceremony, which was performed by the Rev. 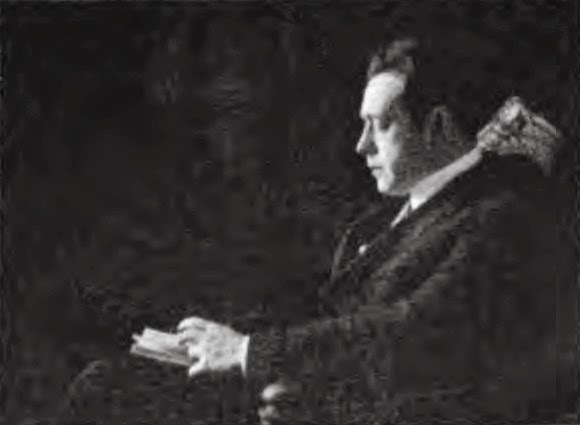 Dr. Cyrus Townsend Brady. The couple have known each other for many years, and Miss Pughsley was the artist’s subject in a portrait that was hung in the Spring Salon in Paris seven years ago. On account of the recent death of the bride’s mother in Paris the wedding was a quiet one. H. Hughart Laughlin of Pittsburgh acted as best man. Mr. Adamson and his bride have gone to their country place at Central Valley, N.Y. on their honeymoon, where they expect to spend part of the Summer. Stanlaws produced 37 covers for the Saturday Evening Post, from July 26, 1913 to October 26, 1935. A gallery of his magazine covers is here. Stanlaws was one of five illustrators to talk about their work in “Famous Artists’ Recipe for Making Their Beauties”, which appeared in the Pittsburgh Press, June 7, 1914. In February 1916, real estate was the latest addition to Stanlaws’s portfolio as he was president of Hotel des Artistes, Inc., which was to be built at 1 West 67th Street in Manhattan. It was completed in 1917. In 1919, he was involved with the purchase and renovation of the Prasada on West 65th Street. Stanlaws was one of seven illustrators and their models who were subjects of a photo-essay in the New-York Tribune, November 12, 1916. Stanlaws was associated with a number of products including cards, soap, tobacco, paper, posters, and the Hotel Algonquin. 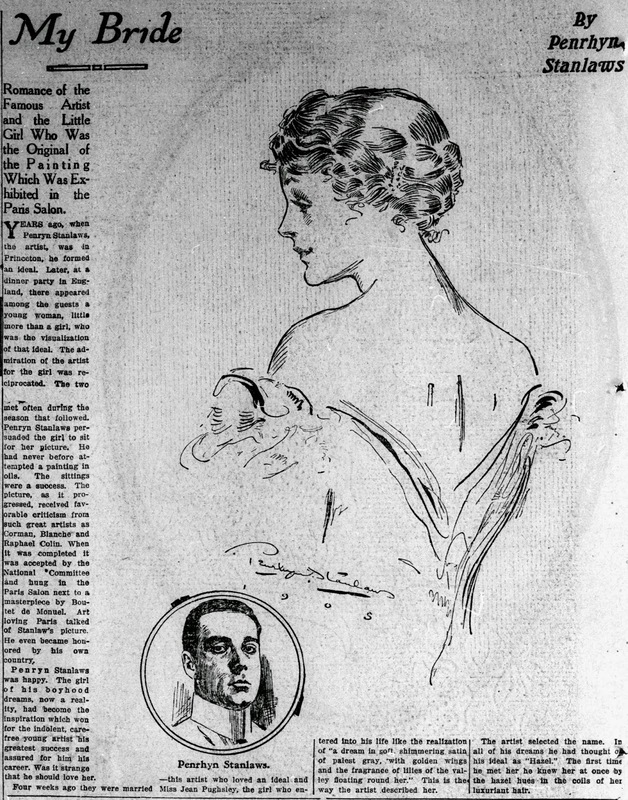 Stanlaws’s wife was the subject of the article, “Watching Your Husband Paint the Most Beautiful Girl”, which appeared in many papers including the Daily Ardmoreite, (Ardmore, Oklahoma), June 1, 1918. As “Penrhyn Stanlaws Adamson”, he signed his World War I draft card on September 12, 1918. He and his wife resided in Manhattan, New York City, at 1 West 67th Street, the Hotel des Artistes. He was a self-employed artist, described as medium height and build with brown eyes and black hair. The photograph, below, appeared in The American Weekly, February 16, 1919, a supplement to the Washington Times (DC). The 1920 census recorded Stanlaws in Manhattan, New York City, at 15 West 67th Street. One of his neighbors was Alphonse Mucha and his family. The May 29, 1920 Times reported Stanlaws’s “signing a long-term contract to write and direct motion pictures for the Famous Players-Lasky Coporation.” Stanlaws knew the cinematographer, Arthur C. Miller, and asked him about opportunities in the movie business, according to One Reel a Week (1967). 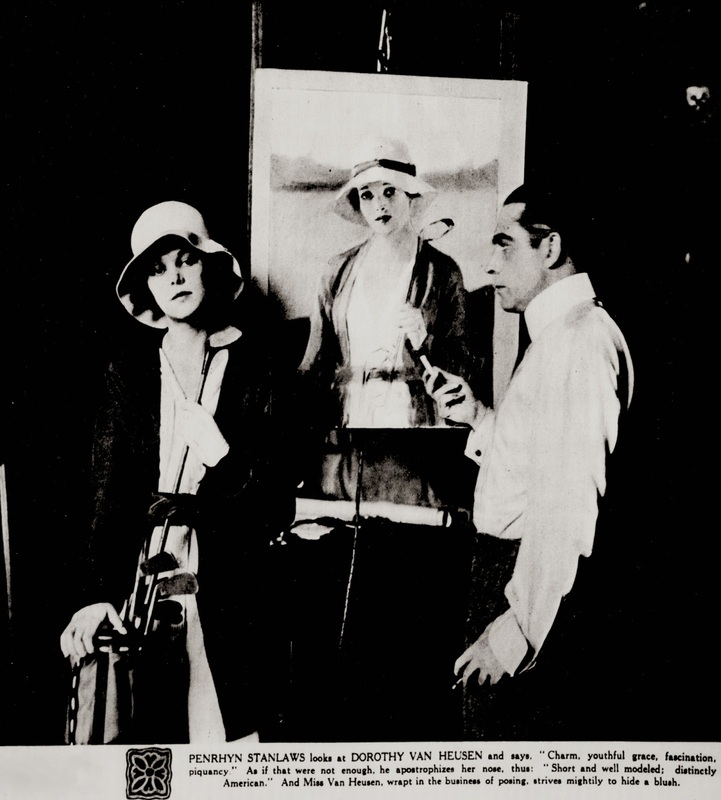 In 1919, Stanlaws saw Miller and Robert Haas, art director for Famous Players. Haas introduced Stanlaws to others in the movie business and he was hooked. 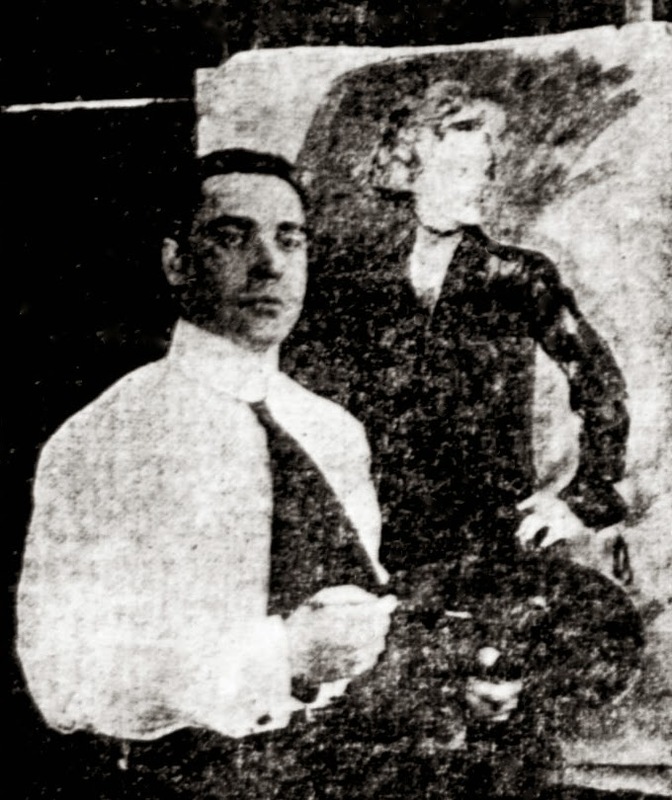 Before Stanlaws moved to Los Angeles, he was featured twice in the New York Tribune, July 11, 1920. He shared his thoughts on beauty and filmmaking. Perhaps another factor that helped Stanlaws decide to move was his younger brother, Ewart Adamson (1882–1945), who was in Los Angeles. The Oakland Tribune, April 21, 1921, said: “…Adamson, noted Scotch writer and cartoonist, has been added to the Rearart scenario staff.” The brothers collaborated on one movie, Singed Wings, released in 1922, according to American Silent Horror, Science Fiction and Fantasy Feature Films, 1913-1929 (2012). One of his movies, At the End of the World, was critiqued in the Milwaukee Journal (Wisconsin), August 21, 1921. Stanlaws’s filmography is here. His filmmaking career was over in less than three years. 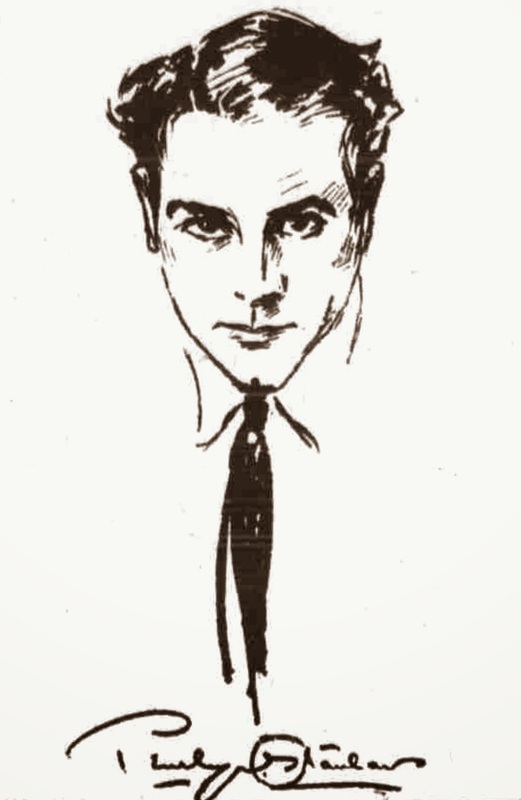 Stanlaws’s self-portrait, above, accompanied his inflammatory comments about Hollywood actresses in the New York Evening World, December 28, 1922. Earlier, the Oakland Tribune (California), December 10, 1922, reported the story behind his comments. 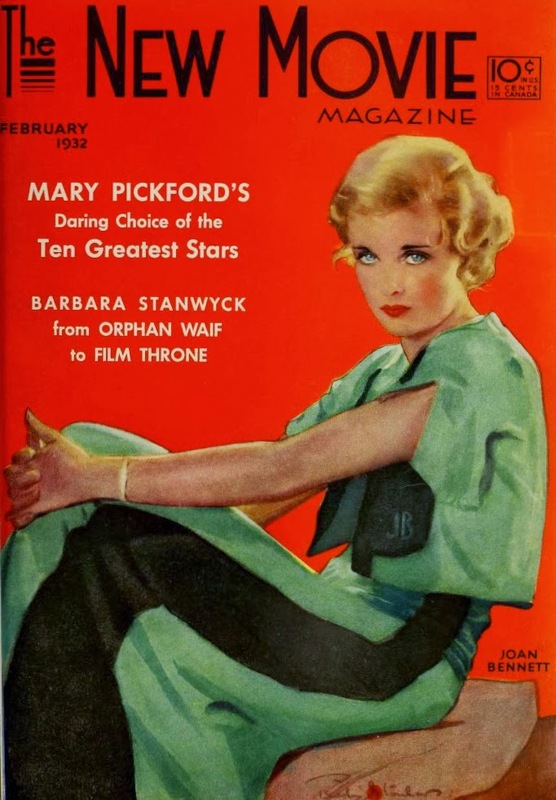 Hollywood, Calif., Dec. 9—The news that Penrhyn Stanlaws has resigned from the directorial staff of Famous Players-Lasky comes at the same time as the furor created by his article, “What Is the Matter With Our Hollywood Women?” in the current issue of Screenland Magazine. But Mr. Stanlaws has a perfect alibi. He was not frightened by the storm of feminine discussion of flaws in famous stars’ beauty, for Mr. Stanlaws and his brother, Ewart Adamson, resigned simultaneously more than two weeks ago. Of course when Mr. Stanlaws wrote the article for Screenland, he wrote from the standpoint of the artist, and with no malicious intent, Mr. Stanlaws is going to produce pictures in Europe. His former assistant director has been in France for two months making business arrangements. According to American Newspaper Comics, Stanlaws drew two series for King Features: Gloria—The American Girl debuted June 27, 1926 and ended January 2, 1927; Frivolous Flossie ran from June 3 to September 23, 1928. According to the 1930 census, Stanlaws and his wife, Jean, resided in Greenwich, Connecticut on Riversville Road. His occupation was artist who had his own studio. Jean had her own business as an interior decorator. Stanlaws was counted again at his residence in Manhattan, New York City, at 15 West 67th Street, where he was a magazine artist. On July 31, 1936, Stanlaws took the first step to becoming a naturalized United States citizen, which was approved March 20, 1939. Stanlaws took up teaching in the late 1930s. A 1937 issue of Arts Magazine announced his evening classes. Classes in portraiture and magazine design have been inaugurated in New York by Penrhyn Stanlaws, well known for his magazine illustrations in this country, and in Europe better known as a portraitist. An evening class limited to ten pupils meeting one evening each week, and a day class meeting three mornings each week will be held regularly until June at the artist’s studio, 136 West 65th St., New York. Though Stanlaws’ work is in the academic vein he has been a close observer of the development of modern art and will not limit his instruction rigidly to either school. Stanlaws received his own artistic training in Paris, and as a student in the early 20th century knew intimately many of the better known men in art at the time. According to the Times, September 4, 1938, Stanlaws joined the staff of the Commercial Illustration School, which was located in the Flatiron Building. Stanlaws has not been found in the 1940 census. Throughout Stanlaws’s career he was called upon to be a judge of beauty. 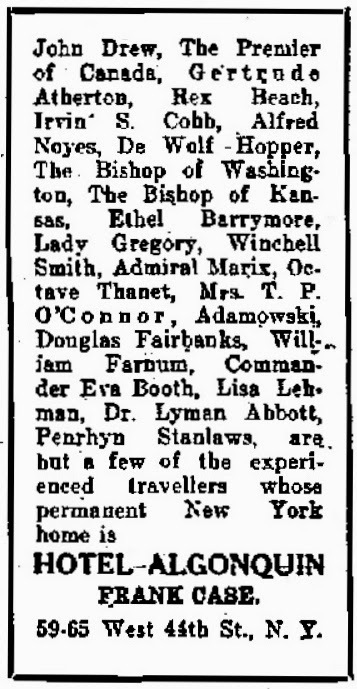 The Times, November 30, 1913, had invited seven judges, W.L. Jacobs, James Montgomery Flagg, Philip Boileau, Clarence Underwood, C. Allan Gilbert, Hamilton King and Stanlaws, to chose “The Girl of To-day” from submissions by its readers. Two of the original judges had been replaced; Howard Chandler Christie was unavoidably detained in Ohio, and Harrison Fisher due to an illness in the family. The judges selected 29 photographs to be printed in a special color section. One of them would be on the cover as “The Girl of To-day”. The Miami News Metropolis (Florida), September 24, 1923, printed Stanlaws’s comments on choosing the girls for the Miss America contest. It was in the artists’ colony up at Woodstock whither Mr. Stanlaws had retired after the arduous task of passing judgment on 76 beauties and whither I had trailed him to his lair. I looked at Mr. Stanlaws intently. He’s certainly a grand looking. “And what was the principal thing wrong with the beauties the various cities picked, Mr. Stanlaws?” I says. “Artists should have picked them in the first place,” says he. 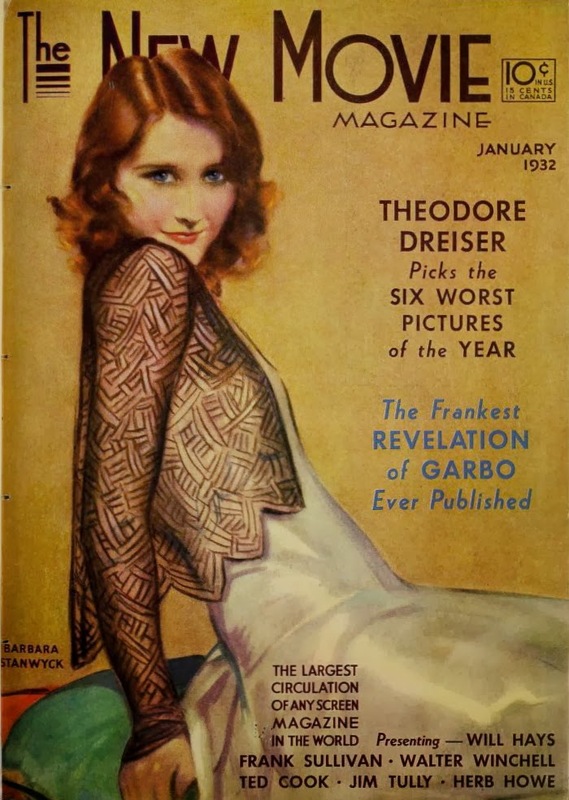 The voice of America’s popular magazine cover artist continued dreamily : More society girls ought to get into these contest[s]…a girl ought to get a long glass and practice before it…and watch good dramatic actresses. Elsie Ferguson or Julia Marlowe…or Mary Pickford, who is a real beauty, because she embodied the American girl ideal of innocence…and of course there must be brains…there can be no real beauty without brains…didn’t I think so? “Beg pardon,” I murmured. I had been watching the waves in his hair. Why don’t they have beauty contests for men? In 1940 Stanlaws was enlisted to be a judge at New York World’s Fair to choose Miss Queens. He was joined by artists Russell Patterson and Arthur William Brown, photographer Alfred Cheney Johnston, model agent Walter Thornton, and Borough President George U. Harvey. Around 1943 Stanlaws returned to Hollywood. The News and Courier (Charleston, South Carolina), August 20, 1950, carried the Associated Press story on what Stanlaws was doing. Chances are you won’t unless you’ve a gray hair or two. But in the early years of the century she was famous as “the Gibson girl,” and it was hard to find a magazine that didn’t have a picture of one or the other on its cover. Charles Dana Gibson painted his beauties tall, trim and tailored. Penrhyn Stanlaws liked to make them soft and fluffily feminine. Today at 73 Stanlaws can still draw beautiful girls. But not for 15 years have they appeared on magazine covers. He has become a noted portrait painter. Seven years ago he settled in Hollywood and among his recent clients were Mrs. Fletcher Bowron, wife of the mayor of Los Angeles, Mrs. Herbert Marshall and Mrs. C.S. Howard, widow of the turf patron. The tragic death of Penrhyn Stanlaws in a fire in his Los Angeles studio on May 18, took from us a brilliant artist, an esteemed classmate, a loyal Princetonian and a cultured gentleman. Pen, whose legal name was Penrhyn Stanley Adamson was in his eighty-first year. He had continued active to the very end in his career. Within the year he had painted, among others, a splendid portrait of our classmate, U.S. Senator H. Alexander Smith. Pen was born in Dundee, Scotland, March 19, 1877, and after graduation studied art in Paris and London. He exhibited in the Paris Salon in 1904. Returning to America about 50 years ago he created the famous “Stanlaws Girl” drawings which appeared regularly on cover pages of leading magazines. 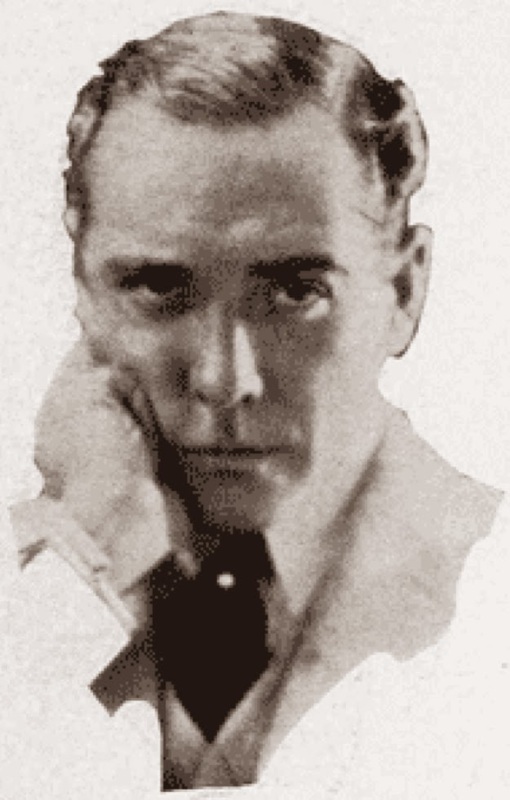 Stanlaws became president of Hotel des Artistes, Inc., and later went to Hollywood where he directed production of several important motion pictures. Since the early ’forties he devoted his talents mainly to portrait work. Among his notable paintings was a delightful one of Lincoln that hangs in Mission Inn, Riverside. Calif., once partly owned by our late classmate, DeWitt V. Hutchings. Following cremation, the remains were buried in Los Angeles. Stanlaws leaves a wife, Jean, and a sister-in-law, Mrs. Ewart Adamson. The Class conveys its deepest sympathy. Thanks for this. Stanley Adamson was my great-uncle (Ewart Adamson my grandfather) and I knew some but not all of what you've recounted. I search for details from time to time and was delighted to fall upon your blog.